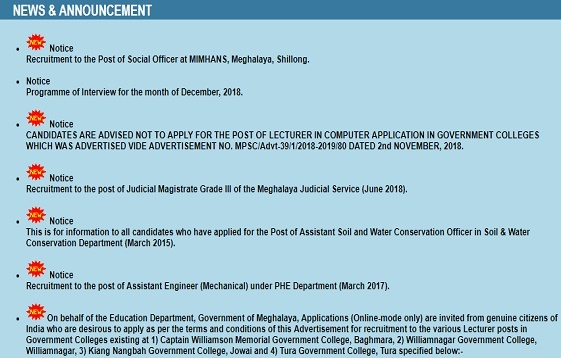 Meghalaya Public Service Commission published the results, recruitment, admit card notifications at Meghalaya PSC News portal mpsc.nic.in. Candidates from Meghayala can get MPSC Alerts let's follow this page. 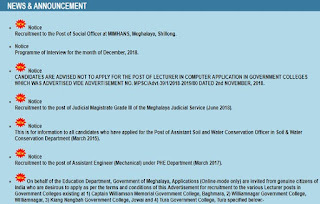 Here in this page informed latest Meghalaya PSC News that is examination schedule, results for written and online examinations.